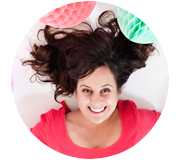 I am thrilled to be kicking off our light series today with a whimsical take on a plain white paper lantern. 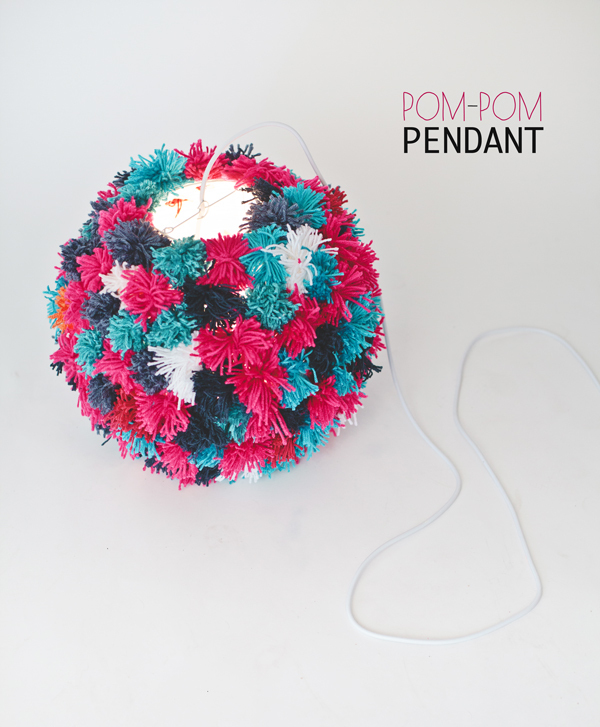 This pom-pom pendant is so fun and it is sure to garner smiles every time you flip the switch. 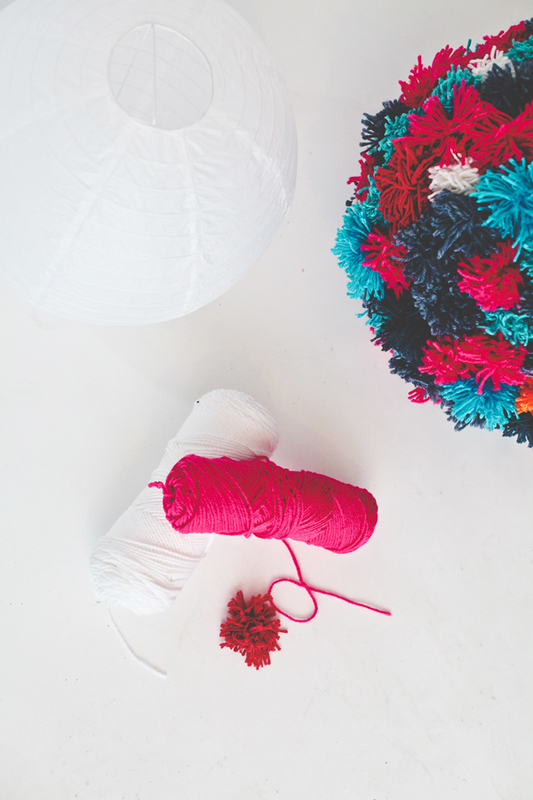 Make the pom-pom pendant by starting with a white lantern lamp base and a couple of your favorite colors of yarn. You’ll need to make about 100 simple yarn pom-poms (here is the easiest tutorial for making yarn pom-poms). This part is a little time consuming, but nothing an evening watching Mad Men cannot fix. Once the pom-poms are made it is time to attach them to the light. You could easily do this with hot glue, although for a longer lasting pendant, thread each pom-pom through the center and attach it to the light with a simple stitch. Hang the light with a plugin cord from an eye hook on the ceiling. or hardwire into a current light socket and enjoy! This is so cute. I love making pom poms for my cat. This reminds me of being a kid and making something similar to add to my roller skates! I loved those things! 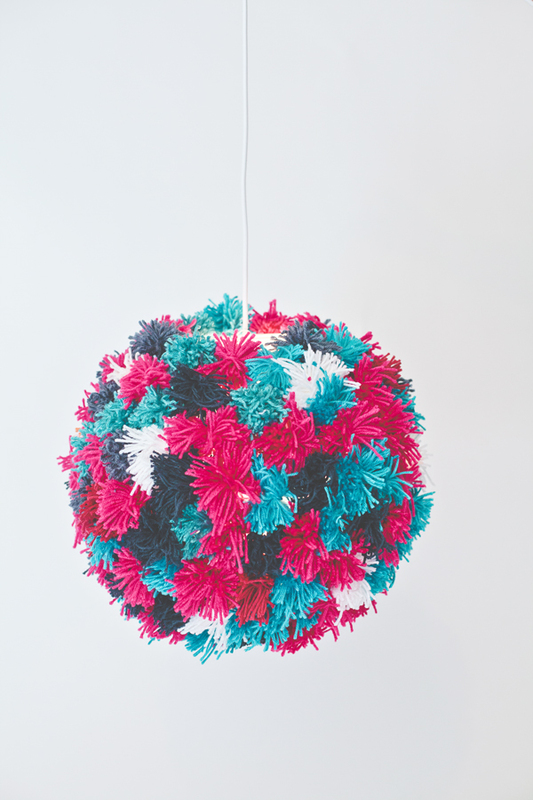 Wow I love the colours you have used for this pom pom! They go so well together. Thanks for sharing this.